Already on October 9, Google will hold a presentation of the new Pixel line of smartphones, presenting to the world its vision of what the flagship devices should be. And although the appearance of new products is no longer a secret, despite rumors of sabotage organized by the search giant, spy shots and “official” renders appear on the Web, confirming the preservation of the traditional “pixel” design style. Through the efforts of the resource MySmartPrice in the biography of not yet released models of white spots has become even less. Most of the details about the updates that this leak contains, to one degree or another were already known but existed in the status of rumors. For example, information about the native support by the regular Camera application of Google Lens smartphones has been confirmed. It will allow real-time recognition of objects in the frame, including business cards, as well as isolating contacts from them and automatically establishing a connection, for example, via e-mail. In addition, support for gestures and fast commands will appear in the Google Pixel 3 firmware, facilitating the use of the basic functions of a smartphone. So, the user will be able to set actions that will be performed by double or long pressing the power button, lowering the curtain of notifications via svayp via the fingerprint scanner or calling the Google Assistant voice assistant to squeeze the side faces that will also be sensitive to the new “pixels”. Also worth noting is the planned redesign of the camera interface. 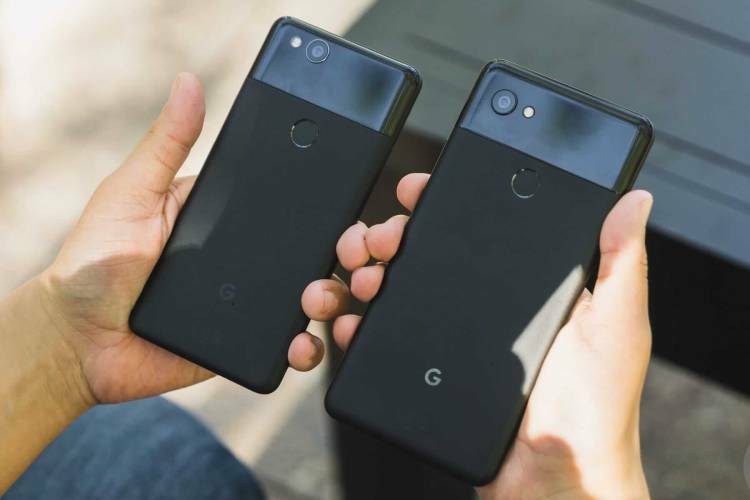 In Google Pixel 3 and 3 XL, it will more closely resemble what iPhone users are used to, but with a wider range of available features. For example, owners of the new Google Pixel will be able to switch between shooting modes by simply shaking the device in their hand. The function of automatically identifying establishments at the mention in correspondence with the ability to find out the schedule of their work and book a table when it comes to restaurants, or buy a ticket – if about cinemas and exhibitions.